What serves as your measuring stick for true womanhood? For woman in Christian circles, the virtuous woman of Proverbs 31 is highly acclaimed and serves as the often seemingly unachievable standard for Biblical womanhood. 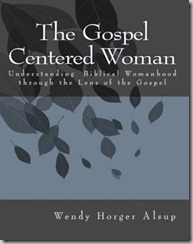 However, in Wendy Alsup’s book, The Gospel Centered Woman, she points women to Jesus as our model. I like that her approach is not one focused primarily on marriage and motherhood unlike many books on womanhood. But even the single woman (like myself) can find this book useful. Although the book is rather small, it was well laid out and used scripture references and not just the author’s opinion. One of the things I appreciated most about the book is how the author gives voice to the fact that we often struggle with unfulfilled God-given desires. This would be a good book to work through as a part of a group study and there are discussion questions included. Many Christian books written to women claim to present God’s good instructions for their lives. Some expound on the value of marriage and children. Many extol the virtues of the Proverbs 31 wife. A good number teach the value of love, submission, and respect in Christian marriages. Though this book deals with these topics, The Gospel-Centered Woman addresses women from an entirely different perspective. The most important part of the Bible’s instructions to women center around the gospel. Jesus’ life, death, and resurrection brought about a seismic shift in our understanding of Scripture. After His resurrection, His disciples understood words written thousands of years before with a clarity they never had previously. The good news of Christ illuminates all other Scripture, including instructions to women. Wendy Alsup is a wife, mom, and math teacher. She is the author of “Practical Theology for Women: How Knowing God Makes a Difference in Our Daily Lives” and “By His Wounds You are Healed: How the Message of Ephesians Transforms a Woman’s Identity”. 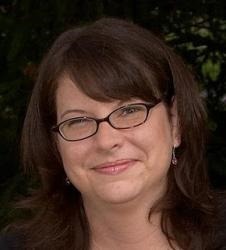 Find out more about Wendy and The Gospel Centered Woman visit www.theologyforwomen.org. Disclosure: I was provided a copy of The Gospel Centered Woman in exchange for an honest review as a part of Litfuse Blog Tour. This is definitely one to add to my reading list. I, too, like the idea of Jesus as the model, and not confining the discussion of womanhood to marriage and motherhood. Too many women harsly judge their lives on one or two things and end up lacking balance and living with self-inflicted condemnation. When we make the two big M(s) such priority it’s hard to see the many other ways God continues to bless and use us for His purposes. 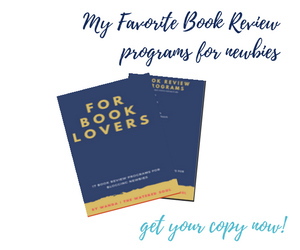 I’d love to hear what you thought of the book. Hey Wanda! Sounds like an excellent read! It’s refreshing to find a book that’s geared towards ALL women, because not all Christian women are mothers or wives. The Proverbs 31 woman is a wonderful example, but I’d take Jesus as my example any day! 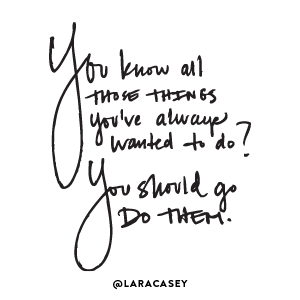 Thanks so much for sharing Wanda and thanks for linking up…have a lovely evening! All women is correct. I don’t think many realize how women like me single w/o children can feel a bit left out. Hope you have a good rest of the week.